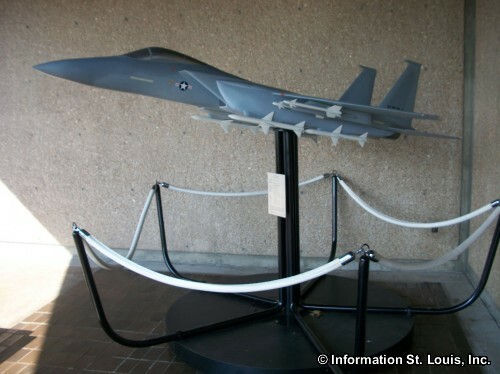 St. Louis aviation history is filled with firsts. 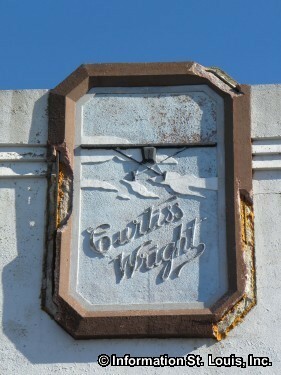 For example, the first airplane flight ever made in St. Louis was made by Glenn Curtiss in 1909. Col. Albert Berry made the world's first parachute jump from an airplane in 1912 over Jefferson Barracks. 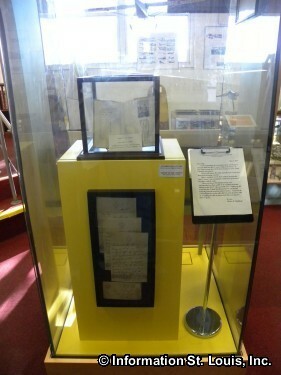 In view of how a parachute works today, it was quite a remarkable feat. Berry did not wear the parachute. It was carried in a cone that was attached to the undercarriage of the plane. Two ropes came from the opening in the cone that were attached to a trapeze bar with two leg loops at the ends. Berry had to crawl through the fuselage of the plane, lower himself onto the trapeze and put his legs through the loops, attach a belt around his waist and then cut himself away from the plane, his weight bringing the parachute out of the cone behind him! Fortunately it was a successful jump from 1500 feet. St Louis was also the home to another first. In April of 1917, during World War I, the Missouri Aeronautical Society was established in St. Louis to train balloon pilots for war. 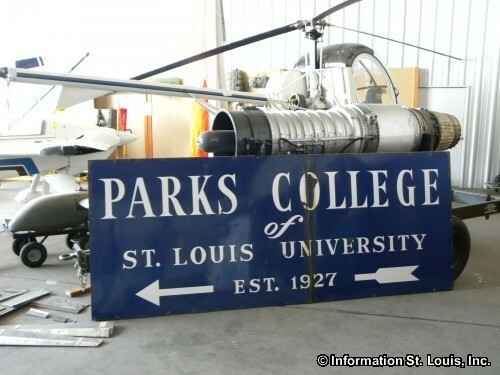 The Missouri Aeronautical Society Balloon School was the first training school in the nation to be officially recognized by the War Department as a training school for the United States Army Aeronautical Corps. Scott Field, now known as Scott Air Force Base, was built during World War I and was one of the first aviation stations in the United States. Construction was completed on the base in August of 1917 and the 11th and 21st Aero Squadrons of the American Expeditionary Forces Air Services were the first to arrive. Scott Field was used as a flight instruction base. Because of the demand for pilots in wartime, the airmen's flight instruction only lasted several weeks. 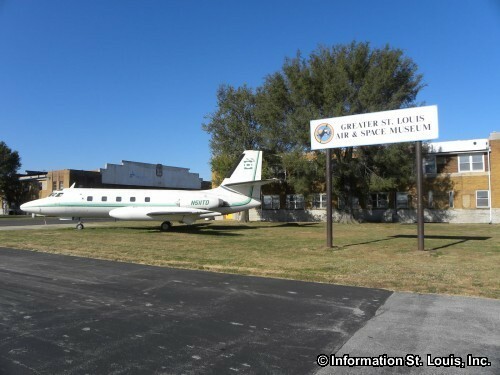 In 1920 the Missouri Aeronautical Society leased the land in Bridgeton Missouri that would later become Lambert Field and now known as Lambert-St. Louis International Airport. 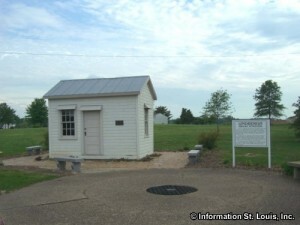 The location of the field was an important selling point to potential commercial use and was consequently used by the US Post Office Department. It was close to the main line of the Wabash to Kansas City railroad and to main roads such as St Charles Rock Road, Natural Bridge Road and Florissant Road. 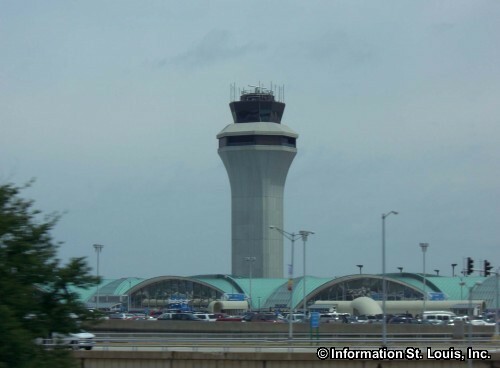 In 1923 the St. Louis Aeronautic Corporation held the International Air Races at this airport with the idea to promote the future of St. Louis as an air terminal. Major Albert Bond Lambert and the Robertson brothers from Robertson Aviation, along with the Missouri Aeronautical Society worked hard in making the Air Races happen in St. Louis. 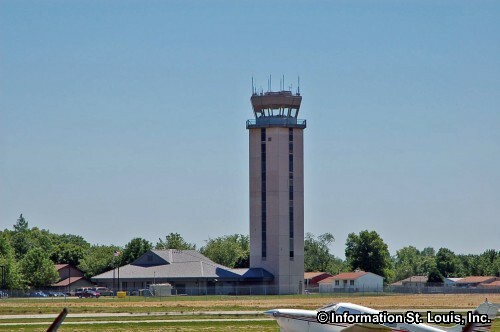 The St. Louis Downtown Airport, located in Cahokia Illinois was established in 1929, one of the earliest airports in the area. Many of the first pilots used the airport. Some of those aviators were Charles A. Lindbergh, Amelia Earhart, and Jimmy Doolittle. 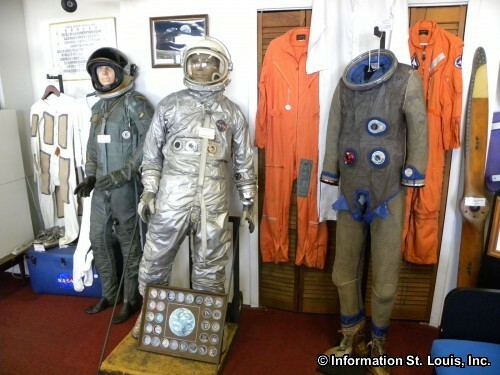 The Greater St. Louis Air & Space Museum, located at the St. Louis Downtown Airport, has many artifacts from the early days of aviation. 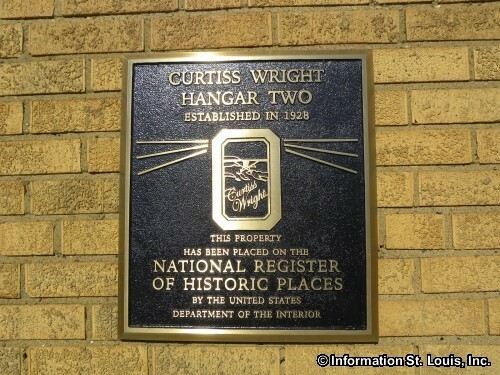 One event that was important to the development of air flight facilities in St. Louis was Charles A. Lindbergh's solo transatlantic flight in 1927. Lindbergh's backers for the flight were Albert Bond Lambert, Frank and William Robertson and several other important St. Louis businessmen. 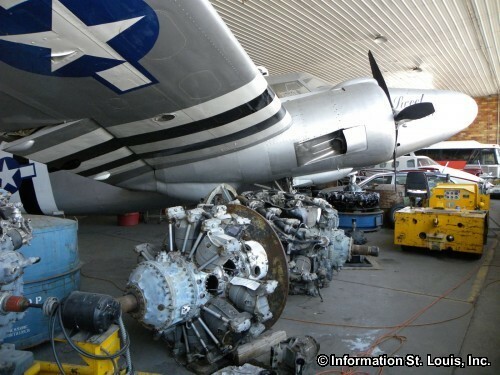 Lindbergh had first worked in the St. Louis area as an airmail pilot for the St. Louis based Robertson Aircraft Company. He had established sites for relay stations, small airfields that provided places along mail routes for Airmail pilots to land if layovers were necessary, as well as supplies and fuel. One such relay station, the Lindbergh Relay Station, has been preserved in Godfrey Illinois. Lindbergh left for New York for his historic flight from the St. Louis air field called "Lambert Field". This cleared and leveled corn field located in Bridgeton Missouri eventually became Lambert-St. Louis International Airport and was dedicated in 1930. 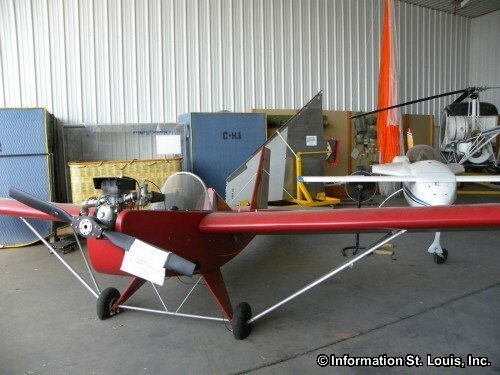 A replica of his transatlantic plane, "The Spirit of St. Louis", is on display in the Missouri History Museum. Scott Field was still training pilots during WWII. That training now included advanced skills such as instrument and night flying, navigation, and photography. Also, the Radio School students were able to receive actual flight condition practice up in those planes. 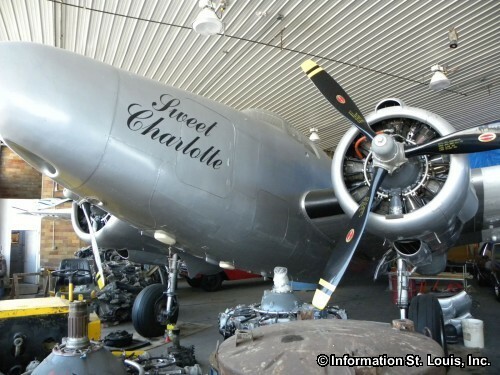 St Louis' industry became aviation oriented during World War II, with three aircraft companies, Curtiss-Wright, Robertson, and the McDonnell Aircraft Company, producing over 3,000 airplanes for the military. Lambert Field served as the manufacturing base for those companies. Lambert Field was also home to the Naval Air Station St Louis from 1925 to 1958 as a reserve base and recruitment facility. During WWII it became an active Naval Air base training large numbers of pilots for the war effort. One of those companies at Lambert Field, McDonnell Aircraft Company, founded in 1939, later merged with the Douglas Aircraft Company to become McDonnell Douglas. McDonnell Douglas then merged with Boeing in 1997 to form The Boeing Company. 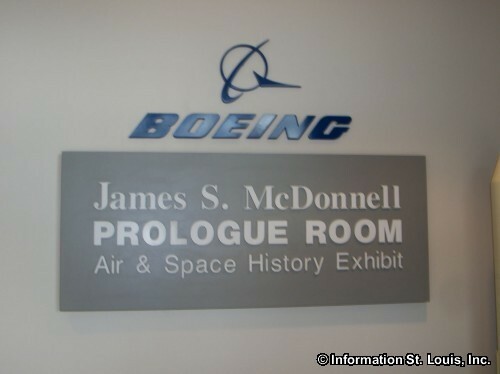 The James S. McDonnell Prologue Room, located at Boeing, tells the history of aviation and the role that the McDonnell, Douglas, and Boeing companies played.